Jersey-born Andy Le Gresley has spent the last seven years honing his art, developing a keen eye for documentary wedding photography, commercial photography and landscapes. After four years working with an internationally renowned photography business in Jersey, Andy formed his own photography business during 2011. Andy, what are your favourite memories from growing up in Jersey? Warm summer days at Plemont beach as a child, spending hours digging sand and creating tall dams to try and hold back the sea on the incoming tide for as long as possible. Great fun spent with family and friends; every time I go down to Plemont I am reminded of it. How has living in Jersey shaped your style as a photographer? From growing up a lot on the beach and always being a lover of the outdoors I have really appreciated Jersey for it’s beautiful, ever-changing landscape. I love to explore and find new hidden spots that not many people know about. 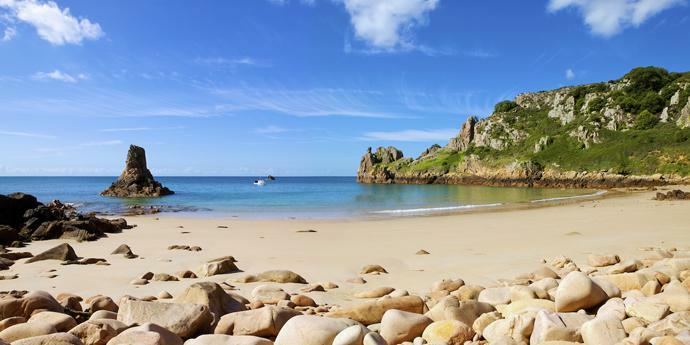 Jersey is a small place but there are lots of unusual spots to seek out that can be difficult to get to. 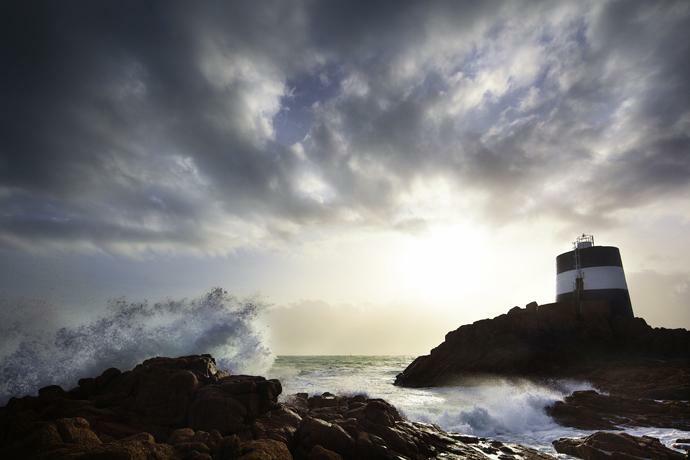 Since I picked up a camera seriously in 2005 I have enjoyed the challenge of capturing the best of Jersey’s landscape throughout the changing seasons. I am constantly checking the weather to look out for interesting occurrences that may make way for an unusual landscape photograph somewhere along the coastline. My style of photography is definitely driven by the outdoor life. I don’t have a studio as most of my work is shot on location whether it be a landscape shoot, commercial job or a wedding. I’m big on natural light and less on artificial flash which means I keep a more natural-style flowing through my work. Some of my favourite landscape images are the ones with little or no manmade elements – these images are timeless and can encapsulate more soul and energy. 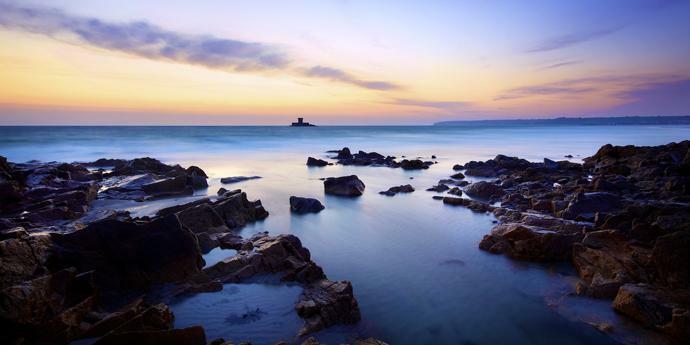 St Ouen’s bay – The views are different everyday. In one day it could be a walk at low tide along the widespread white sand in the morning but later it could be a walk along the sea wall with waves crashing over it. Summer swims at calm and unspoilt Beauport are unbeatable for me. BBQ with my wife Susan at a hidden spot at Portelet Common! Other than that, I’m a big fan of the Salty Dog, consistently good seafood blended with Asian flavours. I don’t go out as often as I used to but I enjoy the nightlife at St Aubins Harbour, there’s a great variety of restaurants and bars. If I’m out with the camera I could be anywhere enjoying time by myself but without the camera I like to surf at St Ouens Bay to unwind from it all. 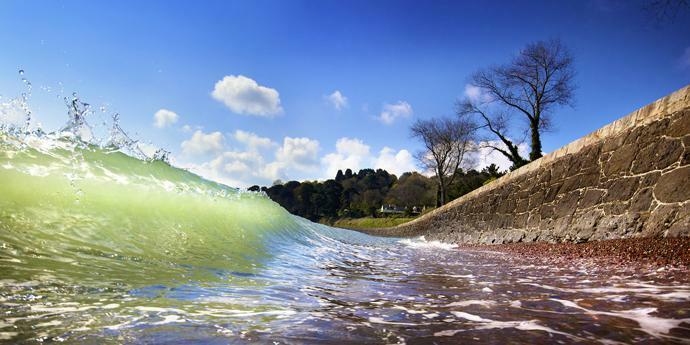 West has the upper hand for its exciting vibrant coastline. Could you single out one location on the island as most inspirational for taking photos? Recently I’ve been inspired by Noirmont point. There’s a small lighthouse that the sea wraps around at high tide and it’s a great location to explore and capture the winter storms colliding into the rocks. You have one day left in Jersey; how would you spend it? Surfing perfect waves at St. Ouen and relaxing on the beach. Do you venture to the other Channel Islands? If so, how do they compare? I haven’t been enough but I hope to visit them more in the future. I loved Herm when I worked out there two years ago. It has a beautiful unspoilt quality – a perfect place to go and explore for a day during the summer. And finally, what is your favourite photograph that you’ve taken of the island? High tide shore break at St Catherine’s Bay – an unusual image that was technically challenging to achieve. Shot at a bay in Jersey that is less photographed by others. Andy’s landscape work is available to view and purchase at his online print shop. 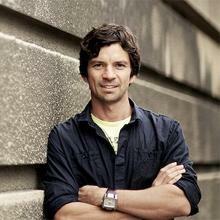 To view all of Andy’s work and find out more, you can visit www.andylegresley.com. This entry was posted in My Jersey and tagged Andy Le Gresley, Photography. Bookmark the permalink.